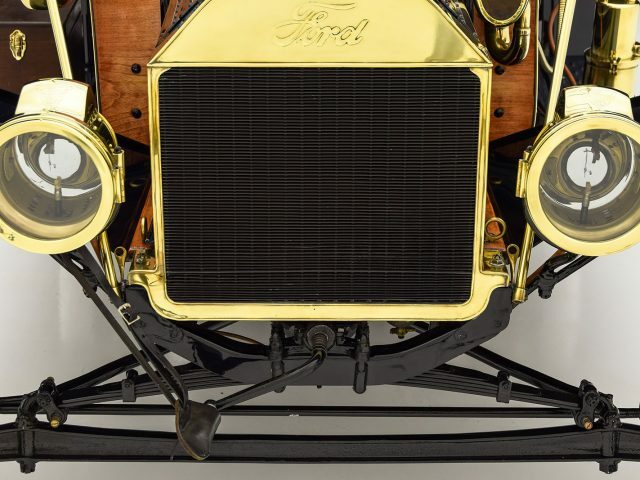 Ford’s brilliant Model T represents the genesis of the modern automobile industry, making car ownership suddenly within reach for millions of people. 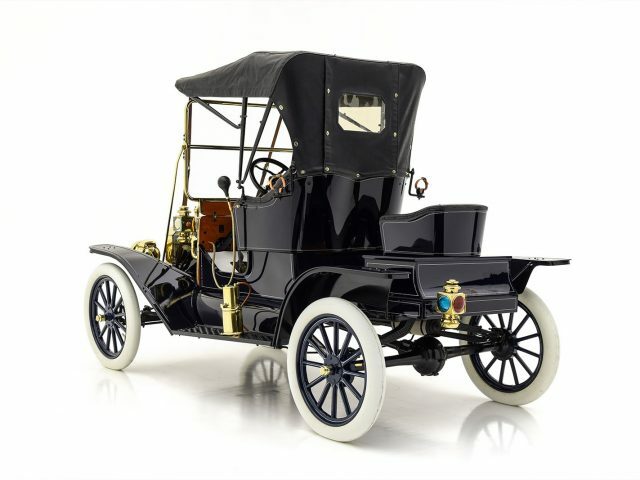 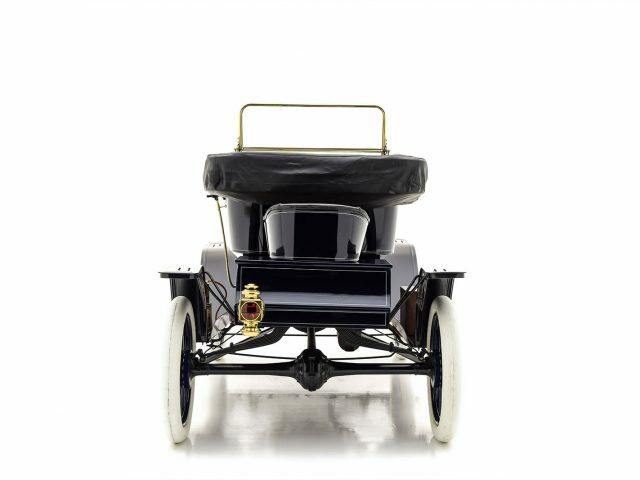 Versatile and inexpensive, the Model T is a cultural icon and one of the most important inventions of the 20th century. 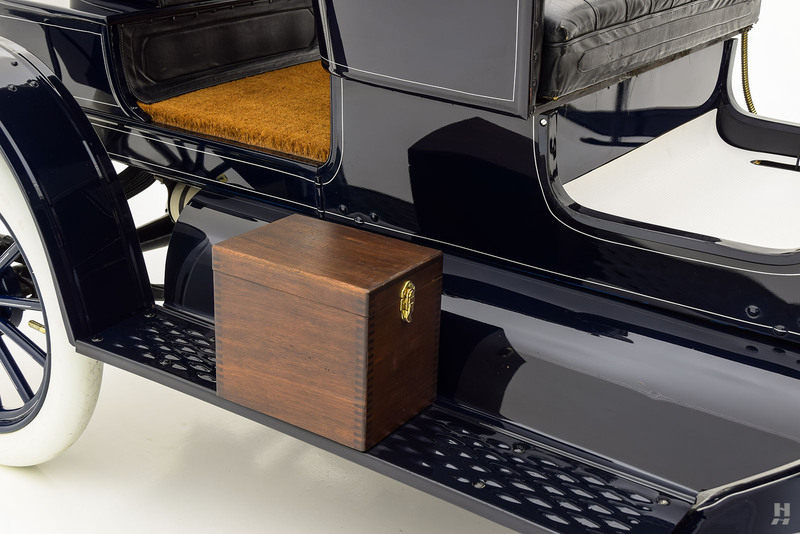 The key to the Model T’s success was Henry Ford’s development of the moving assembly line, perhaps even more important than the car itself. 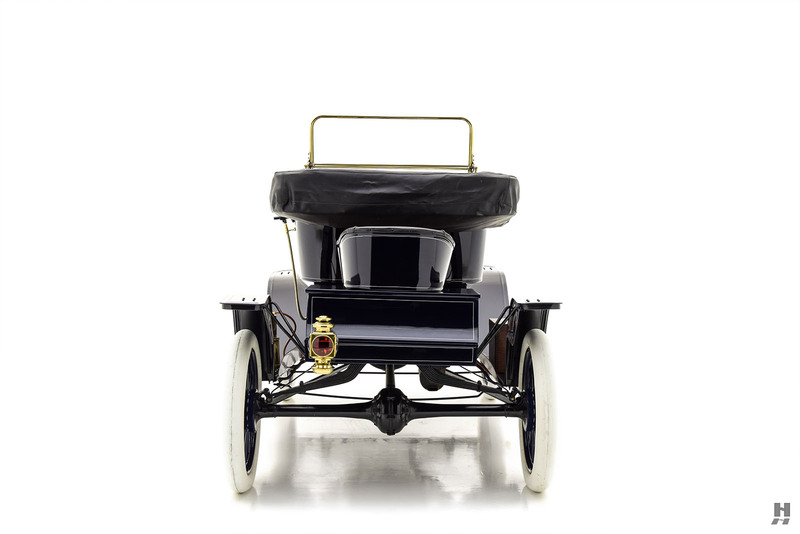 The moving assembly line is one of the most significant industrial advancements of the Twentieth Century. 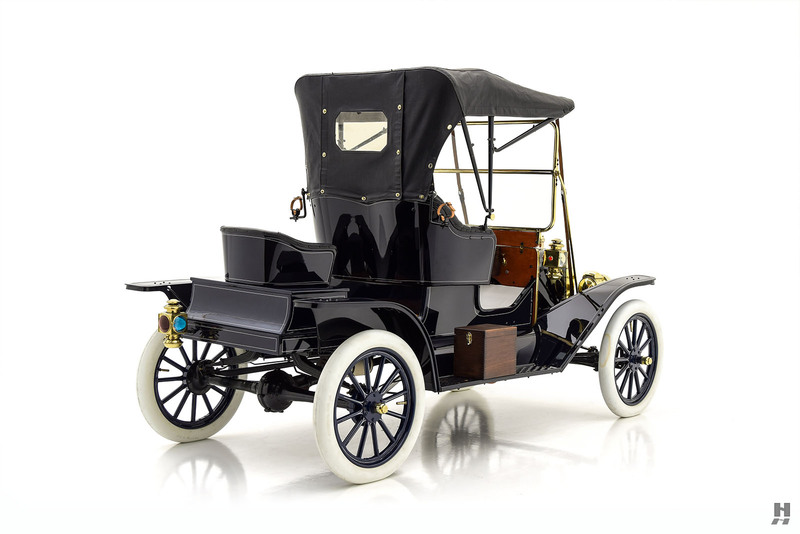 Putting it into perspective, Henry Ford enjoyed reasonable success when he sold approximately 10,000 units of the Model S and Model K. After the advent of the moving assembly line, Model T production topped fifteen million by the end of 1927. 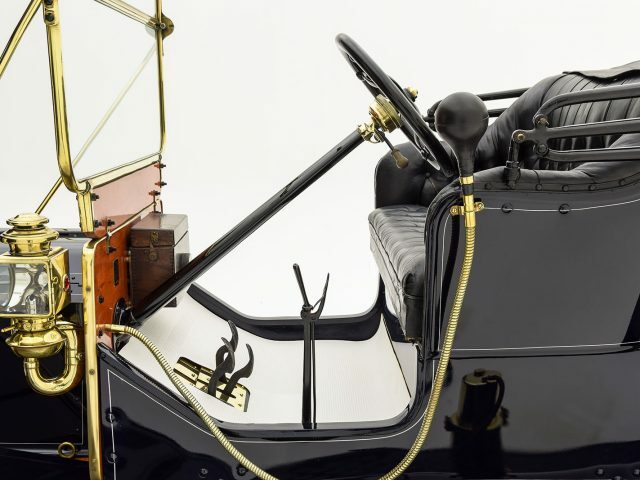 For all of Henry Ford’s brilliance and dogged determination, he was also quite a pragmatist when it came to engineering. 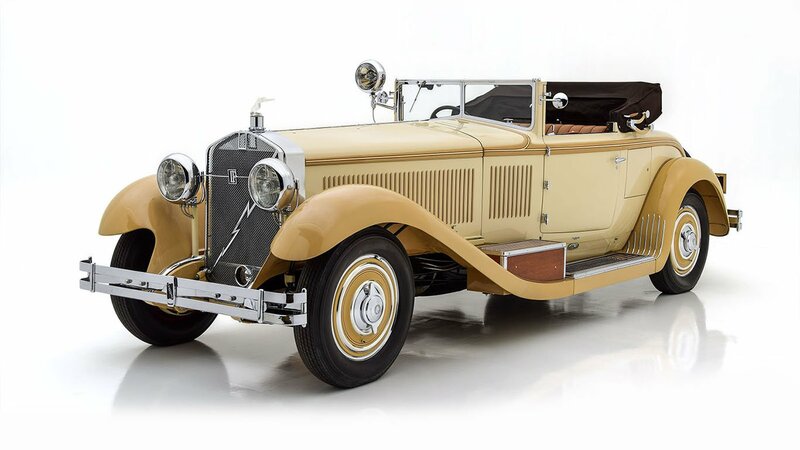 Design wise, the T wasn’t necessarily an innovative machine, and it didn’t change a great deal in eighteen years. 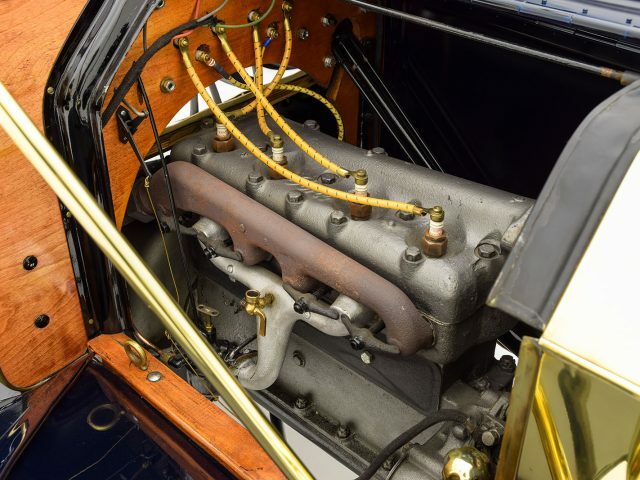 It was designed to be built as quickly as possible, easily serviced, and above all, affordable. 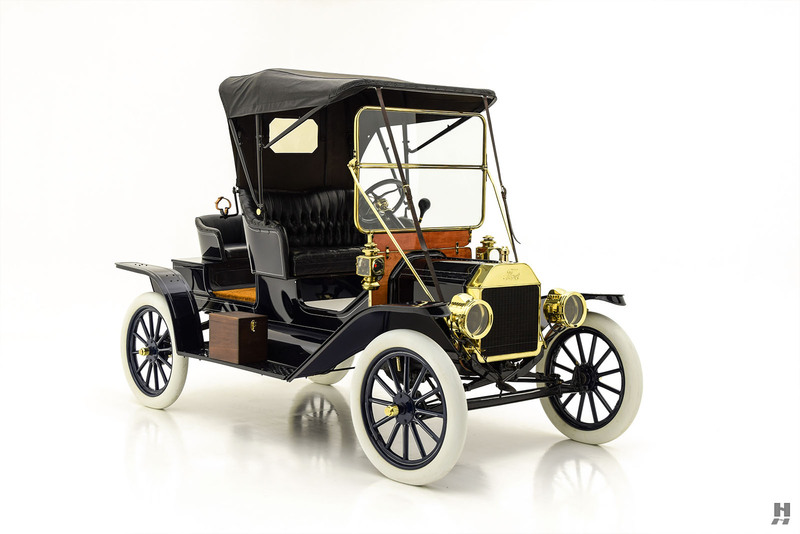 Even with the ingenious production methods taken out of the equation, the Model T stands proudly as a truly versatile machine that could perform many tasks beyond simple transportation. 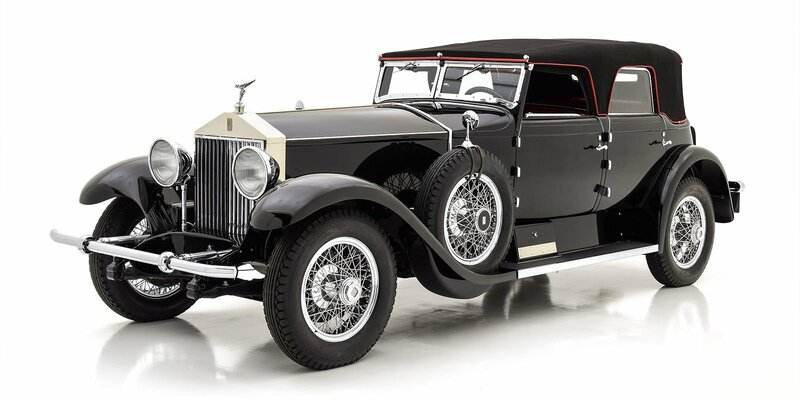 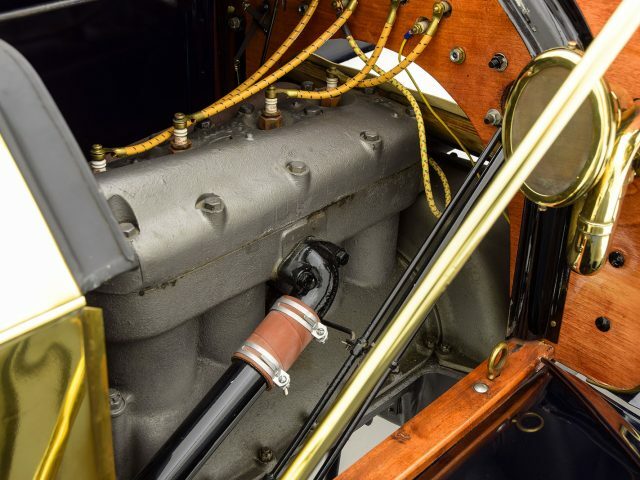 From racing cars to farm implements and industrial machinery, Model Ts have done it all. 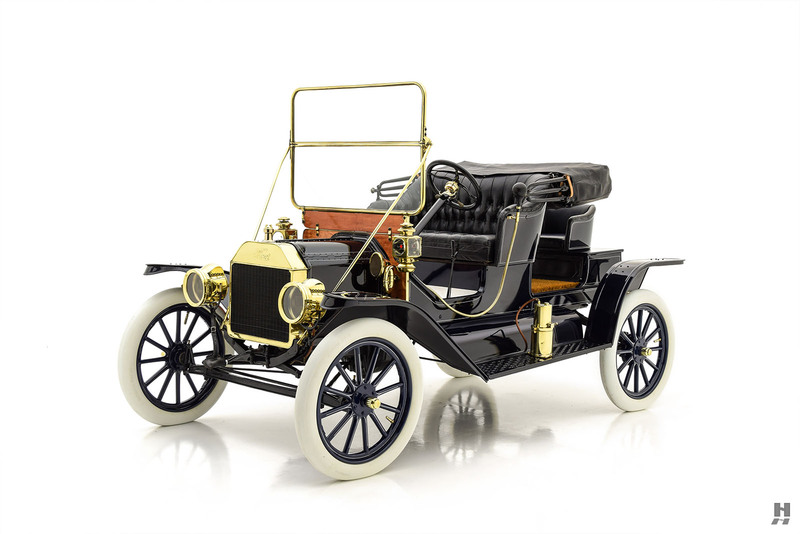 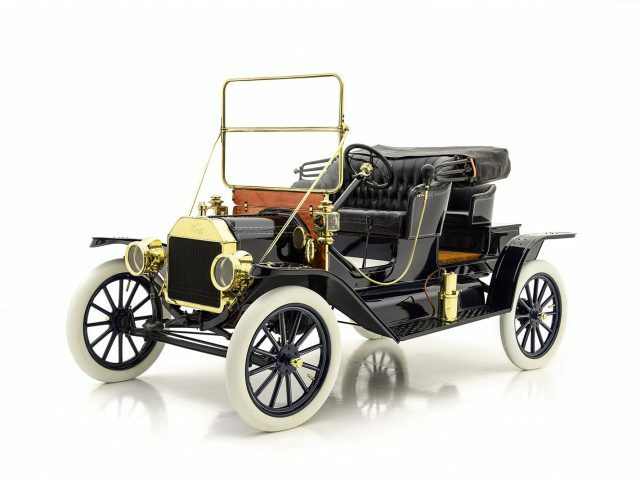 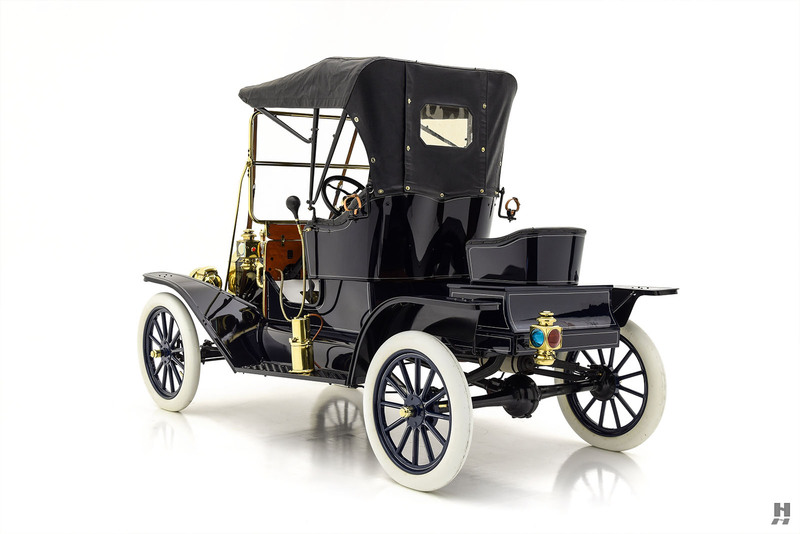 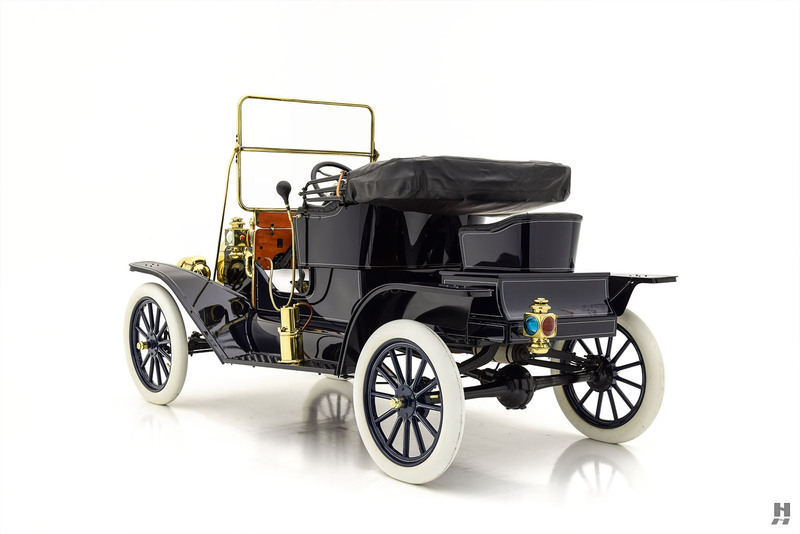 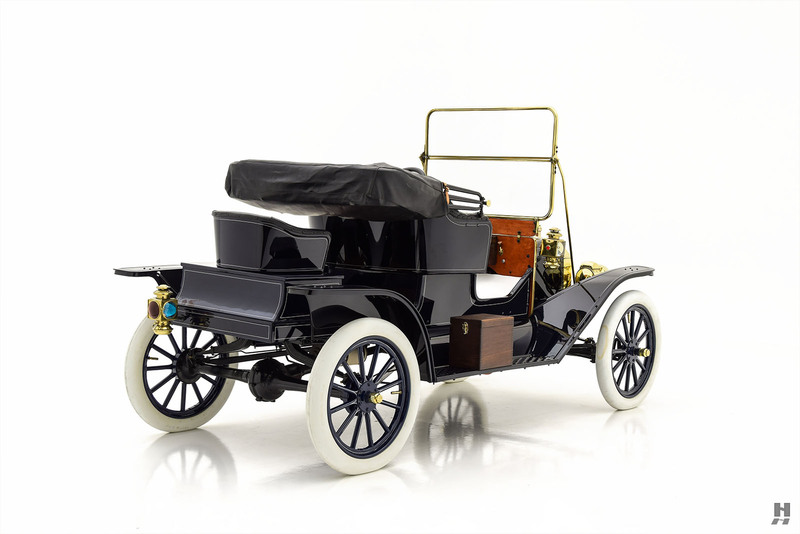 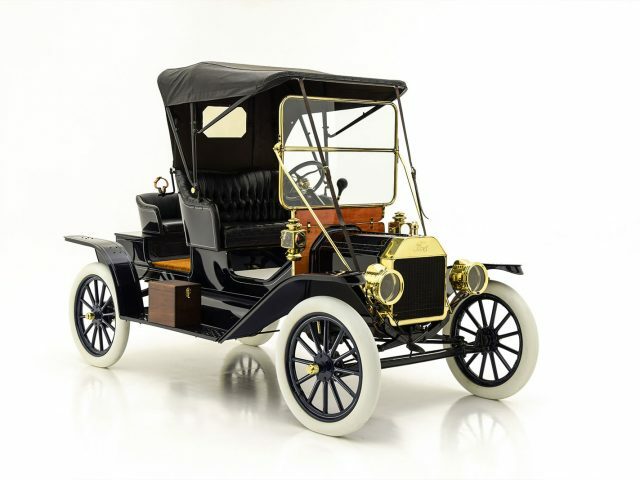 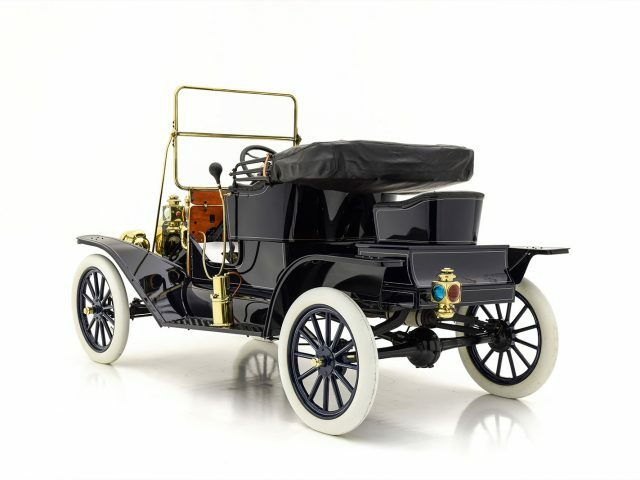 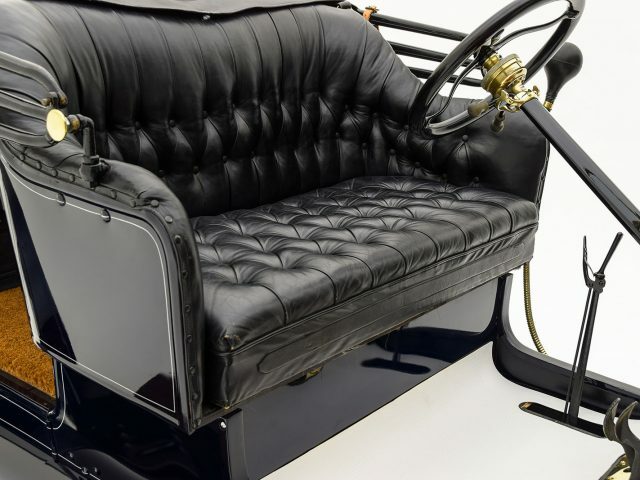 While the basic formula of the Model T was unchanged from 1909 through the end of production in 1927, numerous detail changes made throughout the production run improved reliability, production efficiency, and reduced costs. 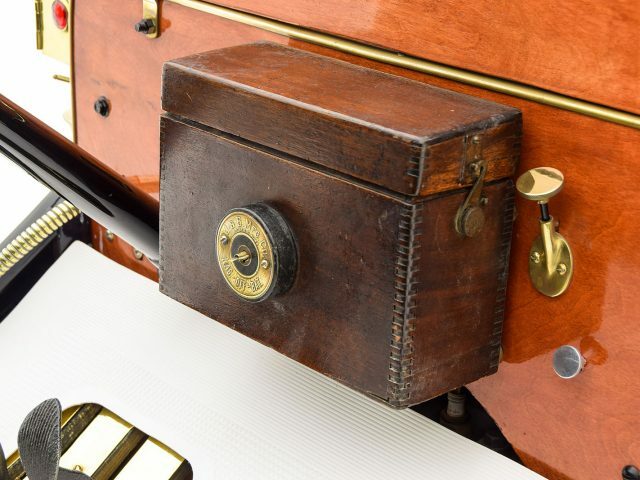 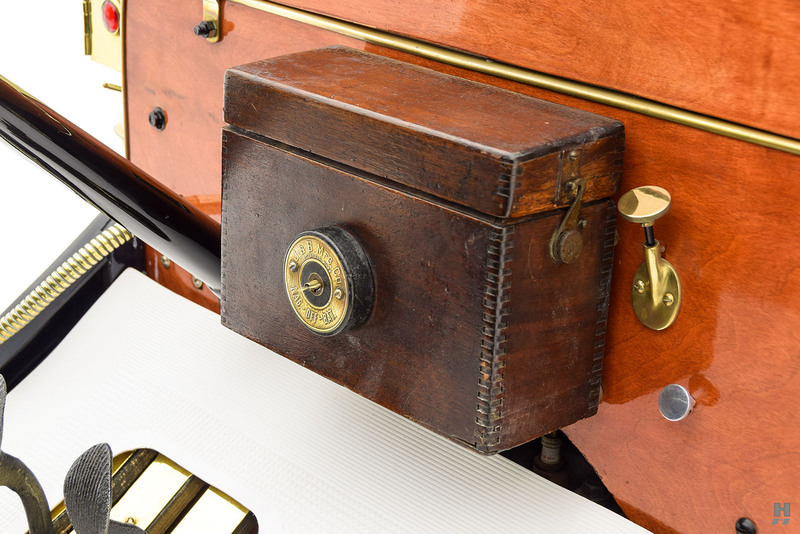 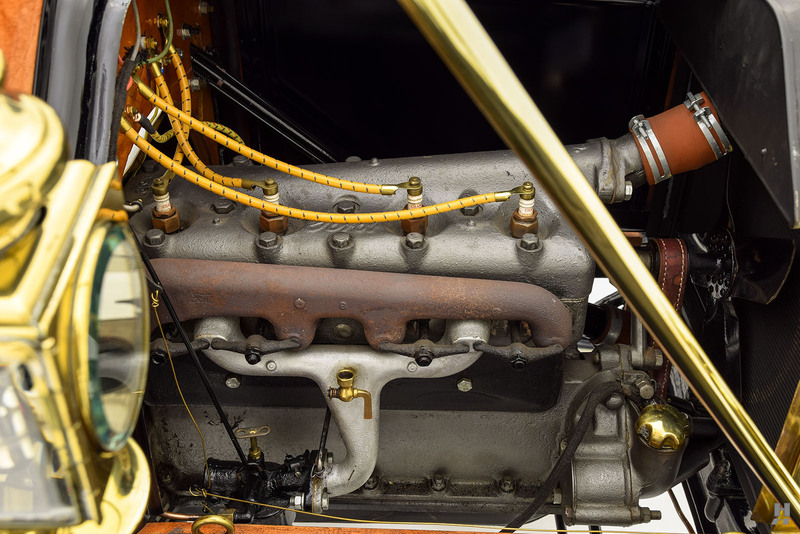 One of the most obvious distinctions between early and late models was the use of brass. 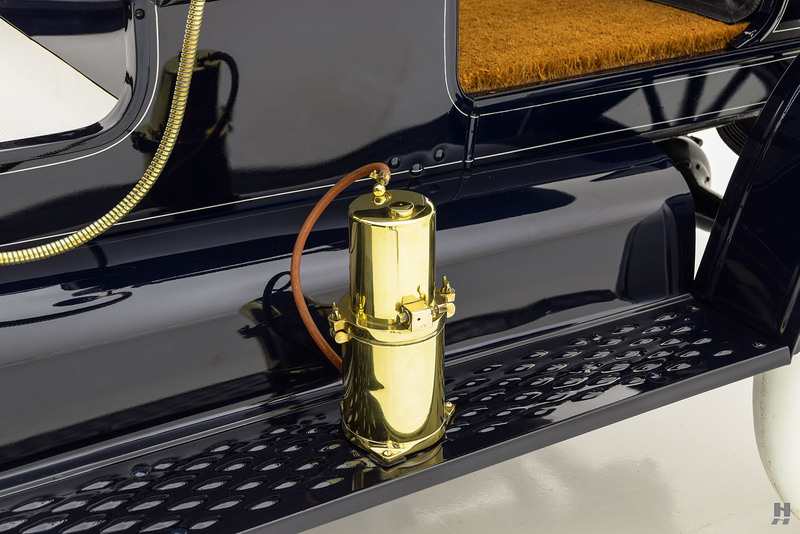 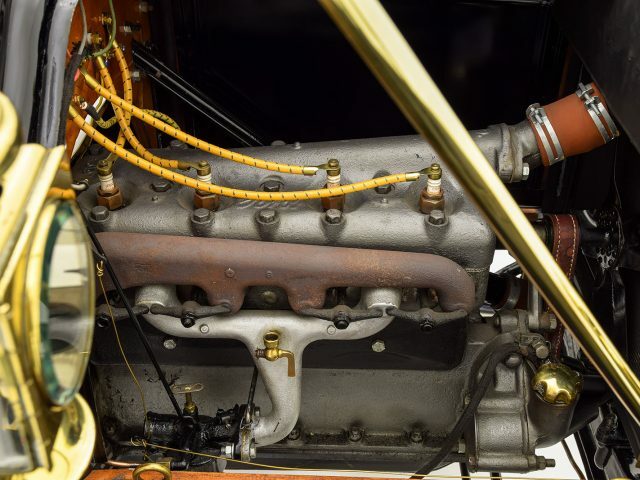 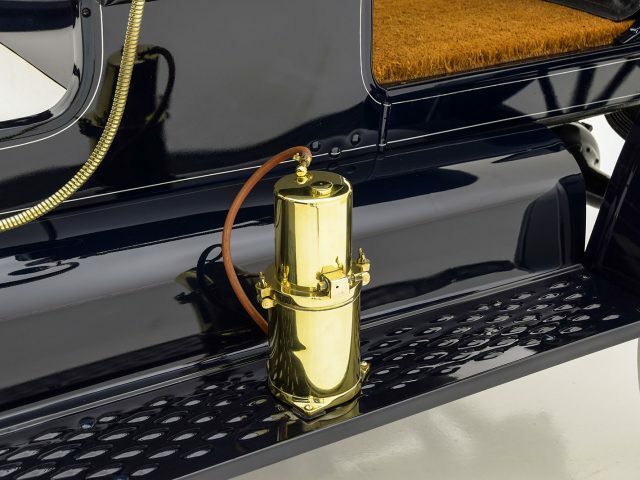 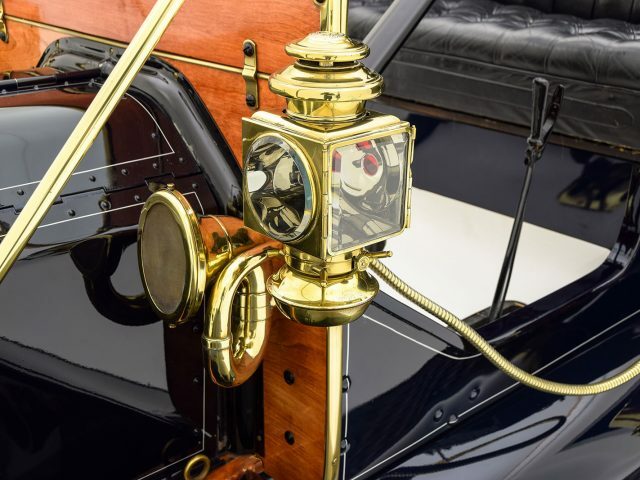 Brass detailing featured heavily on cars built before mid-1916, yet it gradually tapered off as later models featured more austere looking painted-steel radiator shells and nickel-plated bright work. 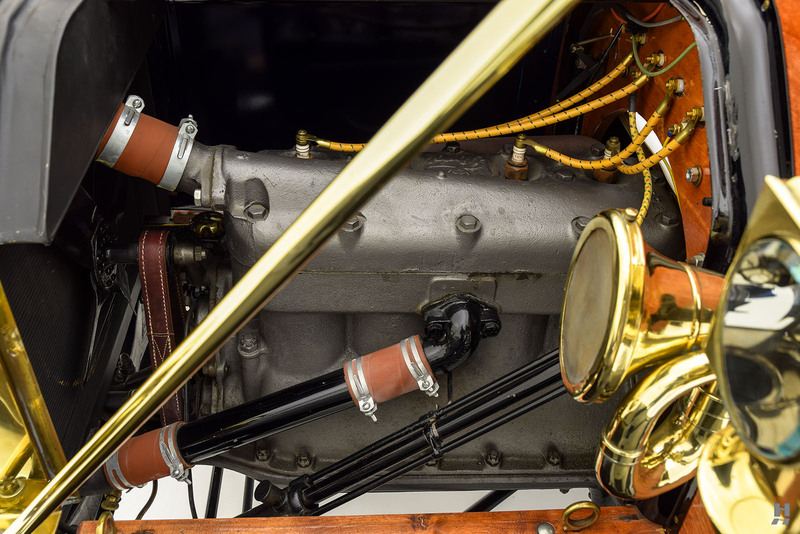 Generally speaking, Brass-Era Model Ts are considered the more collectible of the bunch. 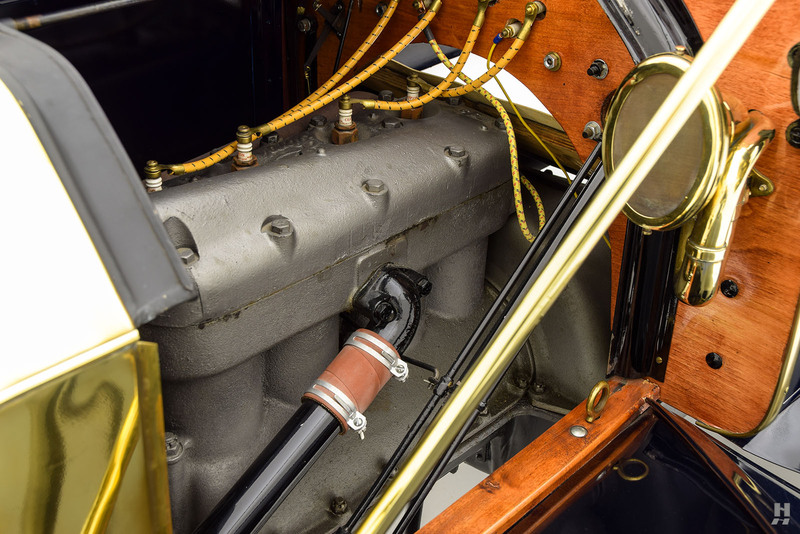 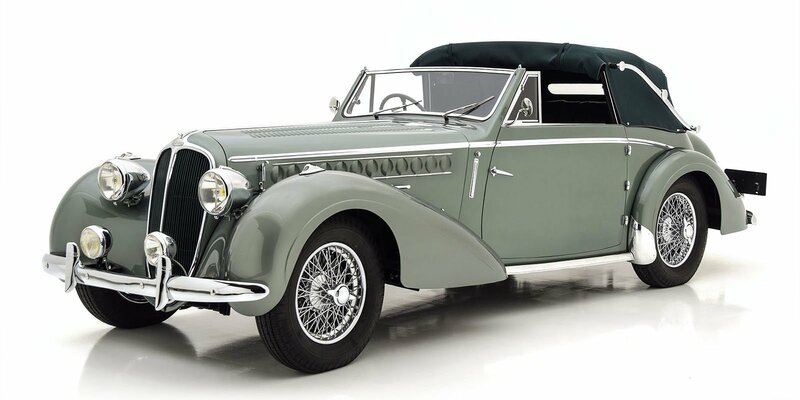 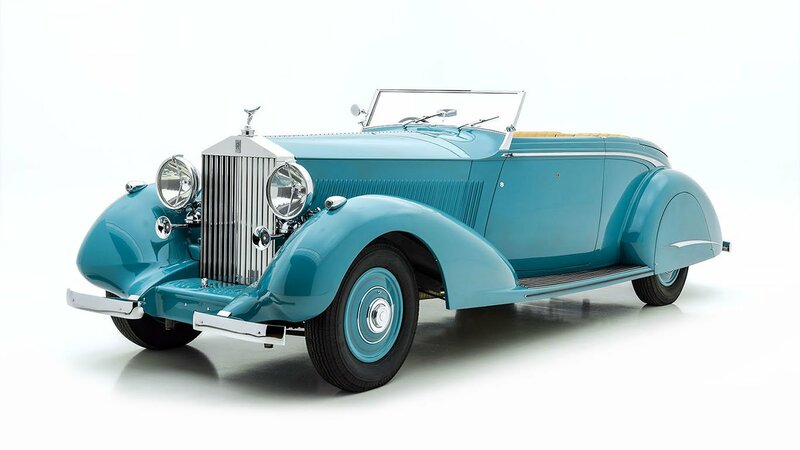 In spite of their humble roots, they stand proudly among the most important collector cars, with examples found in hobbyist garages, private collections, and motoring museums the world over. 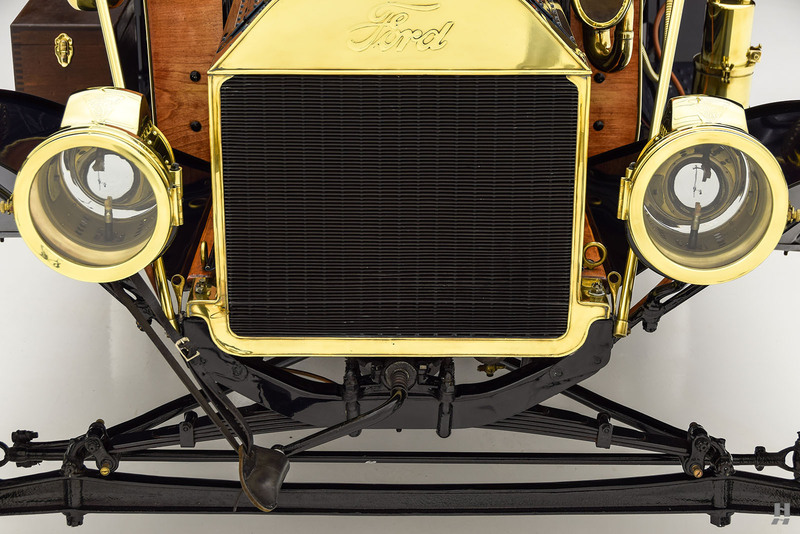 A desirable Brass-Era example, this 1912 Ford Model T wears the sporty and attractive Commercial Roadster body, one of six styles available that year. 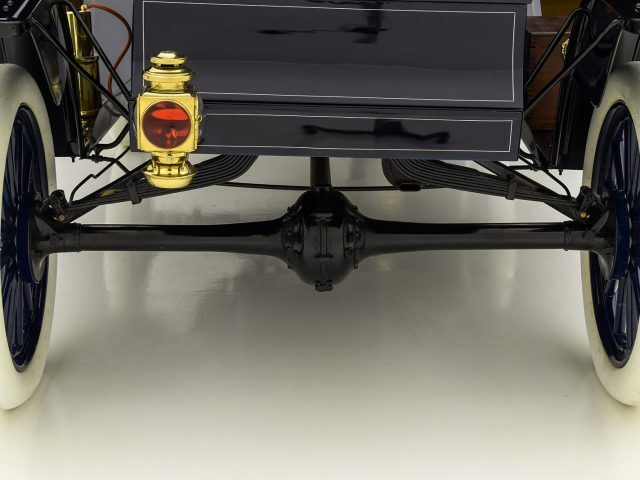 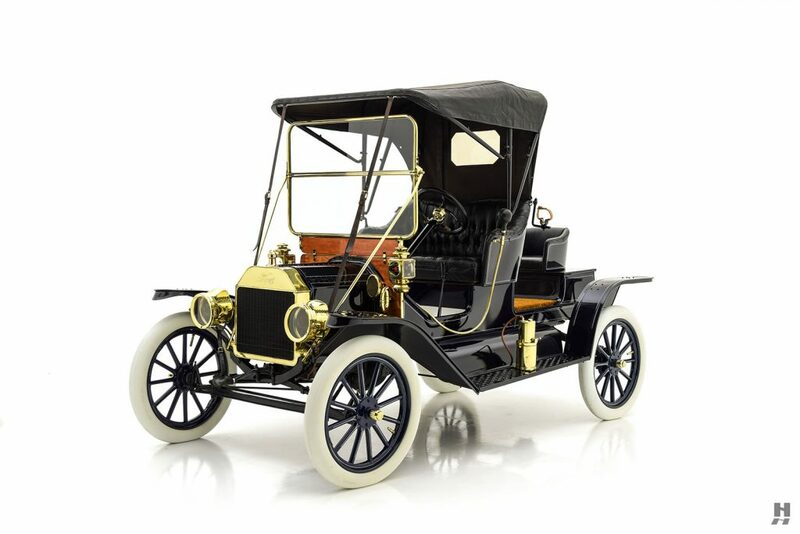 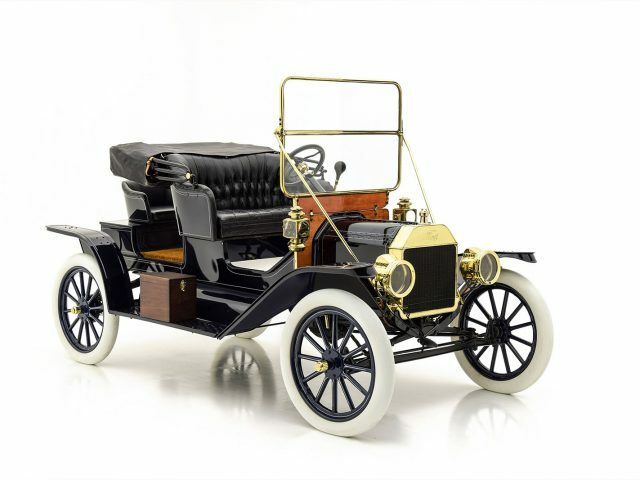 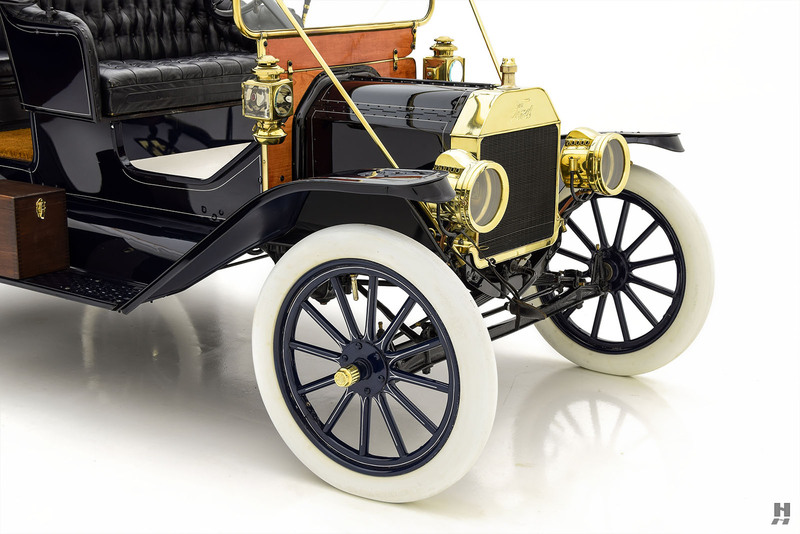 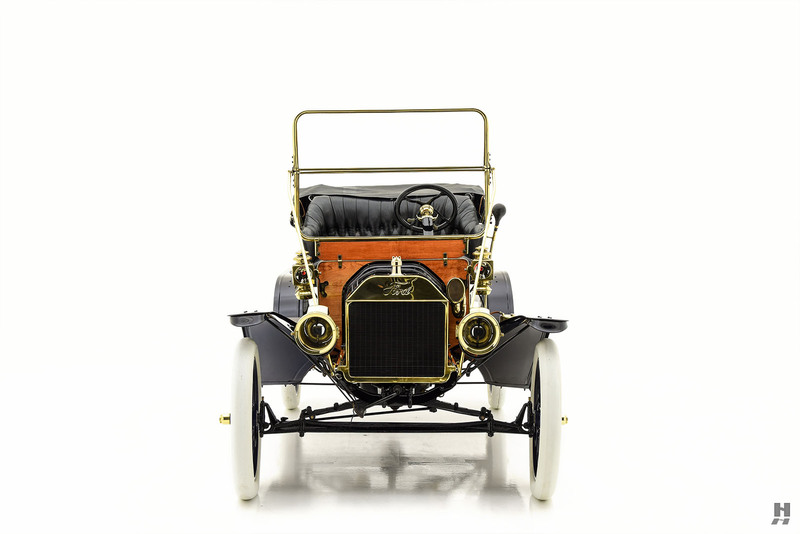 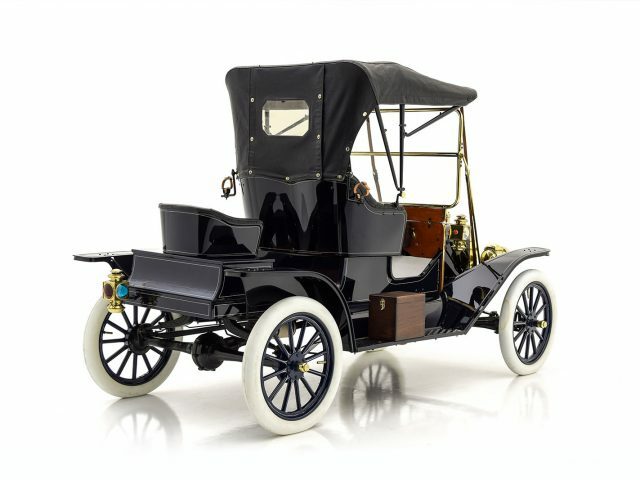 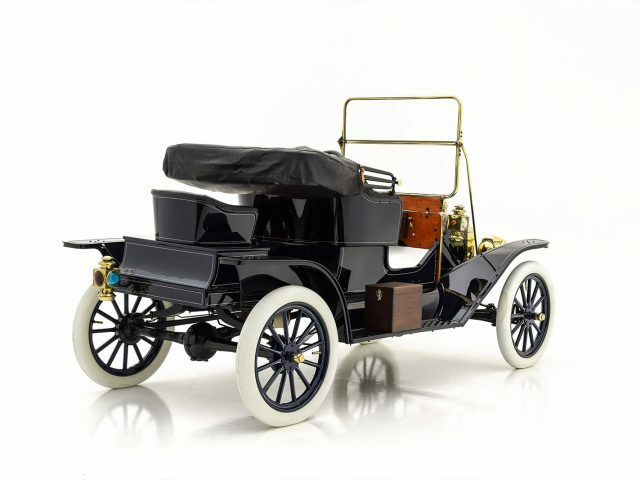 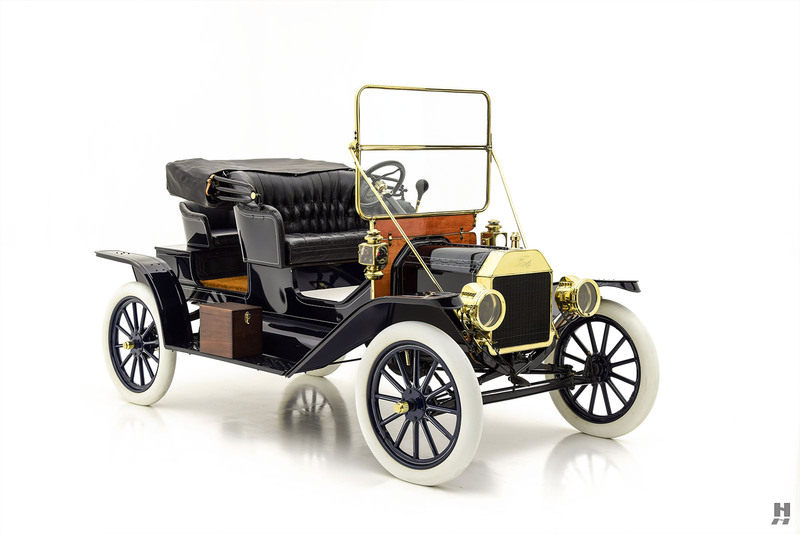 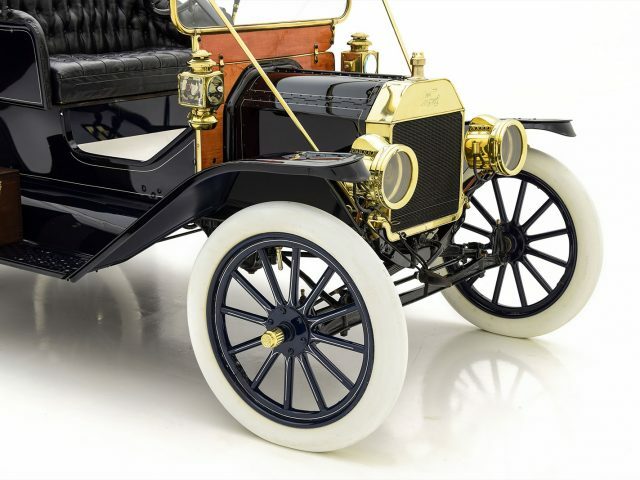 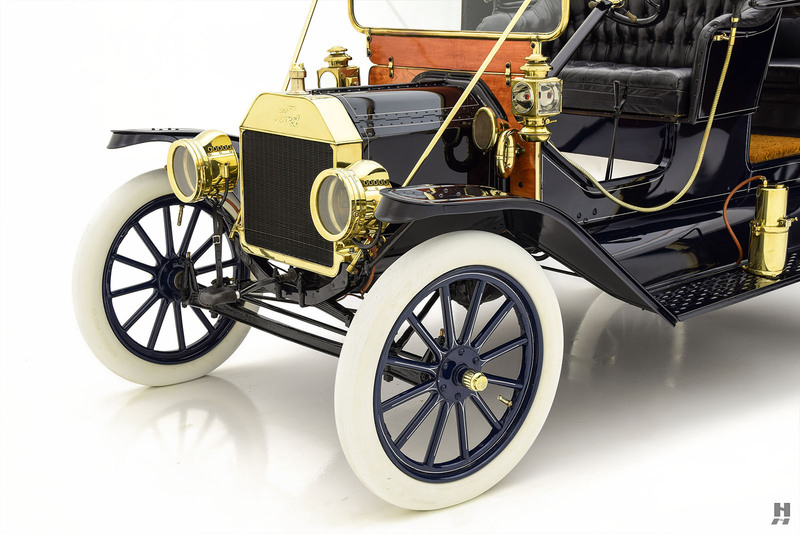 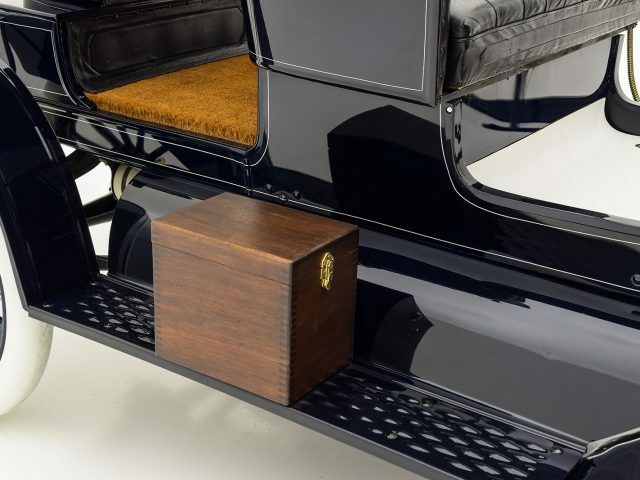 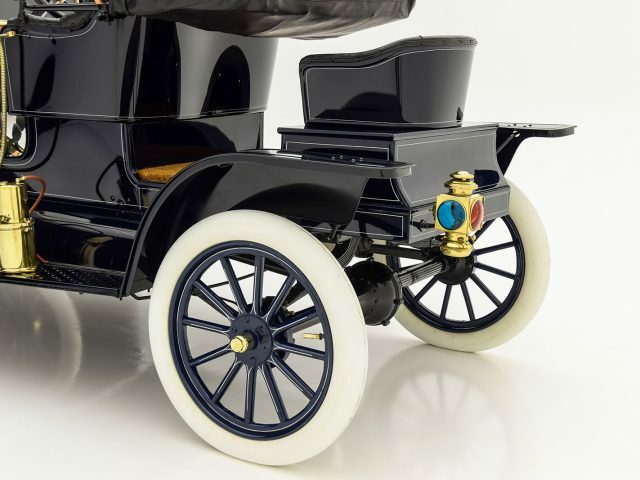 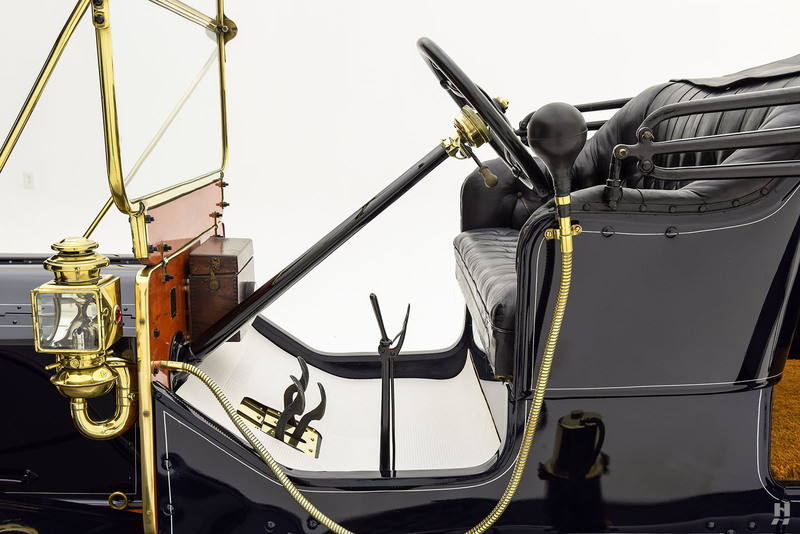 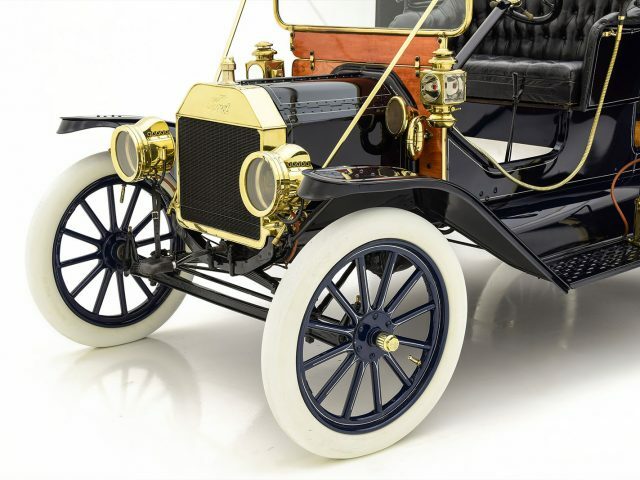 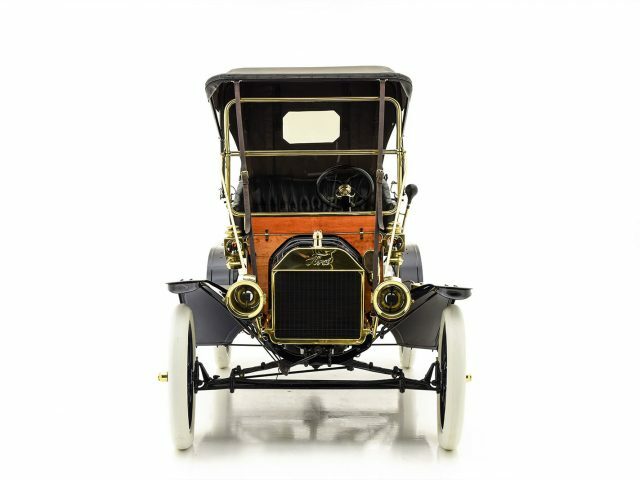 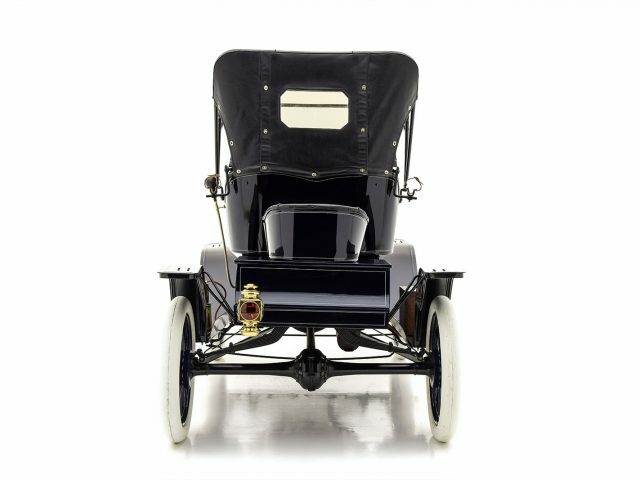 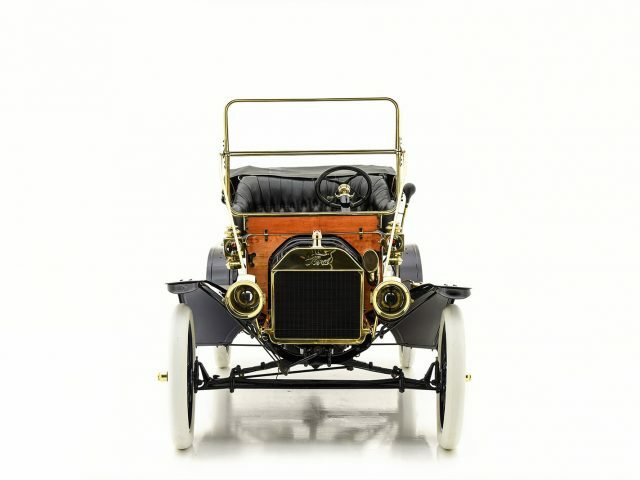 Ford made numerous running changes throughout production, and the transitional 1912 models proved to be the last for the original body style, and are considered by some as the pinnacle of early Brass Era Model Ts. 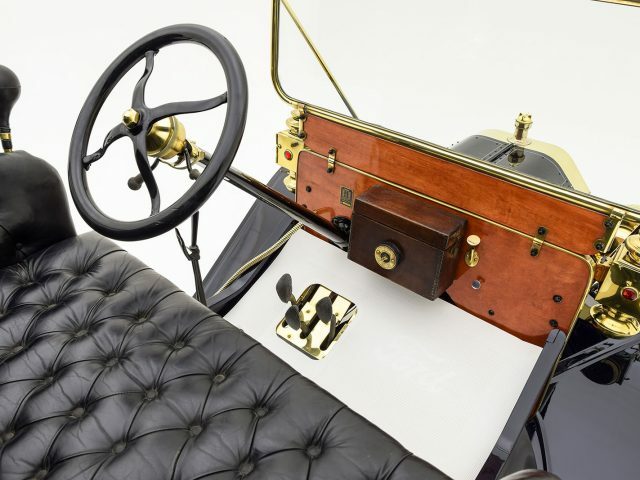 Several significant changes took place in 1913, setting the pattern for the next dozen years of production. 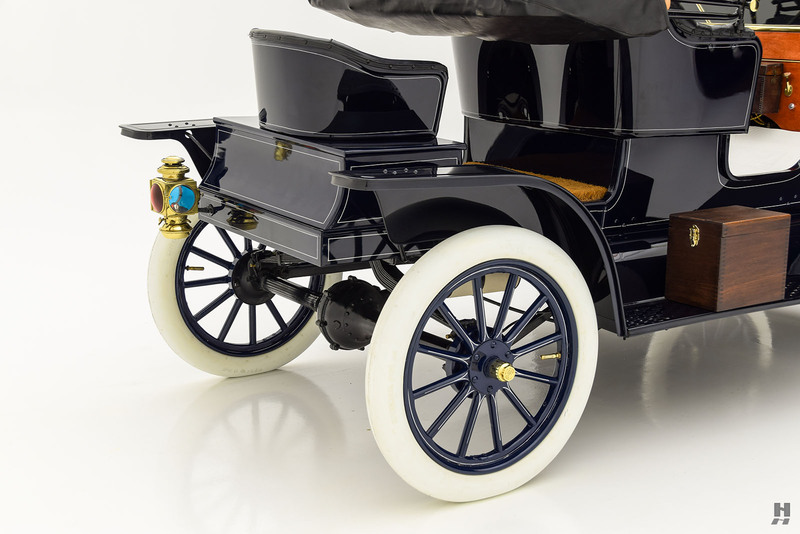 Before Henry famously switched to all-black paint for the T (from approximately 1914-on), several colors were available varying by year and body style. 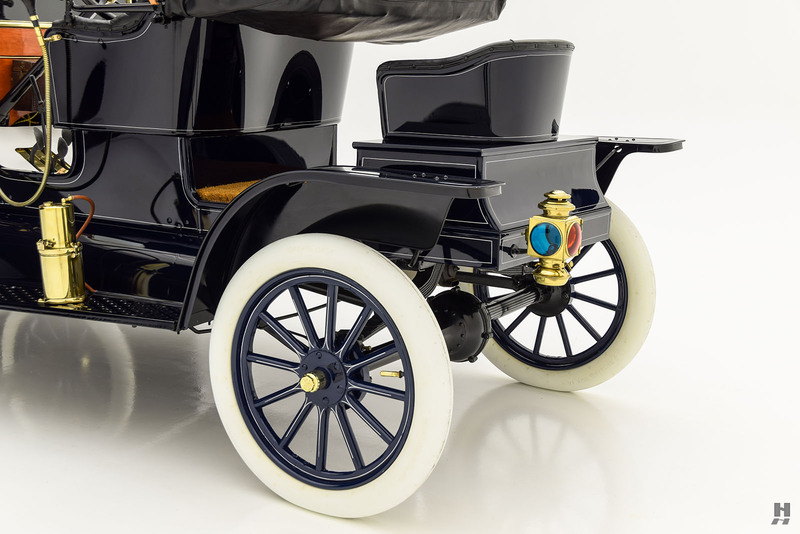 Nearly all 1912 models wore a handsome shade of dark blue. 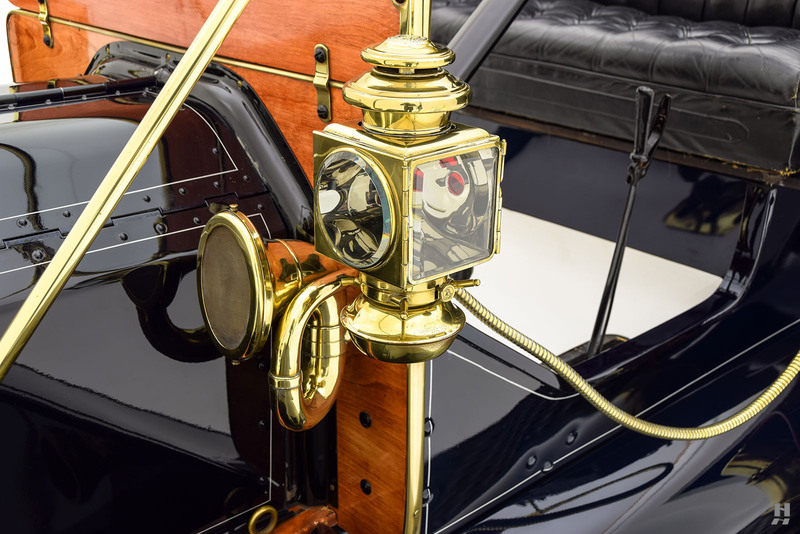 This example is no exception, finished in correct colors and very pleasingly detailed with numerous factory-correct fittings and accessories — the older restoration benefits from recent freshening, with a crisp and attractive presentation. 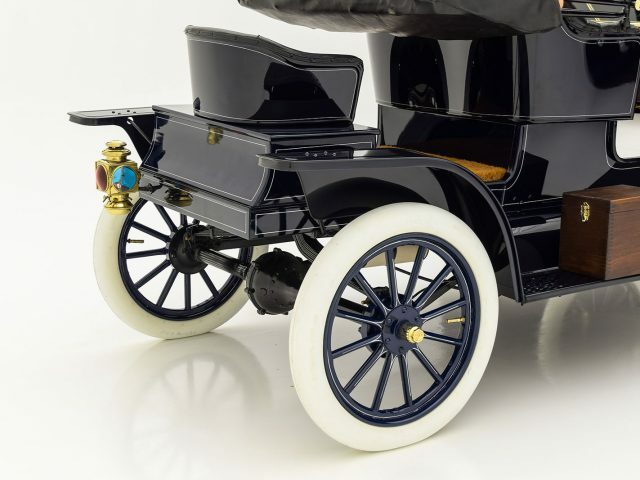 Subtle gray stripes and white natural-rubber tires add a pleasing visual pop. 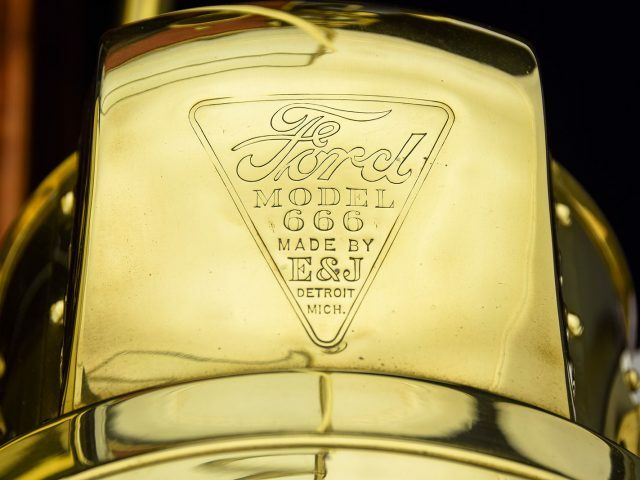 Brass fittings feature prominently, including the radiator shell, acetylene tank, windscreen frame and stays, and period correct E & J Model 666 gas headlamps, made specifically for Ford. 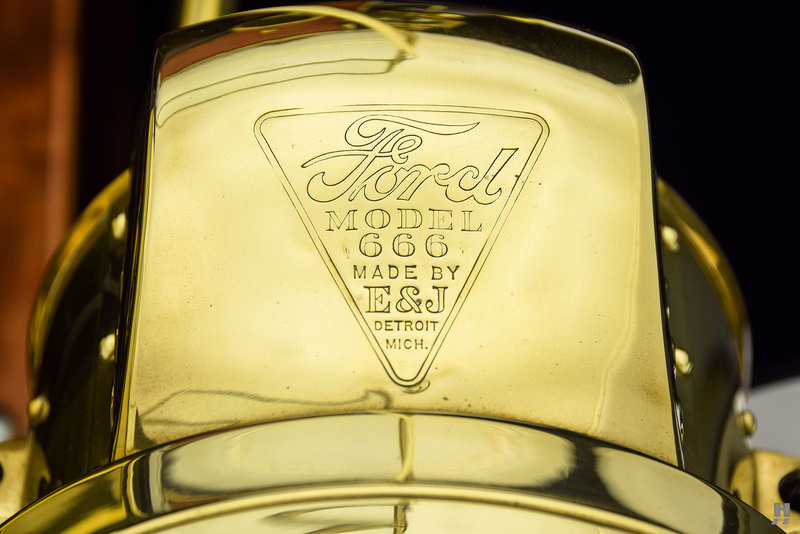 The brass was recently polished, and it presents in excellent order. 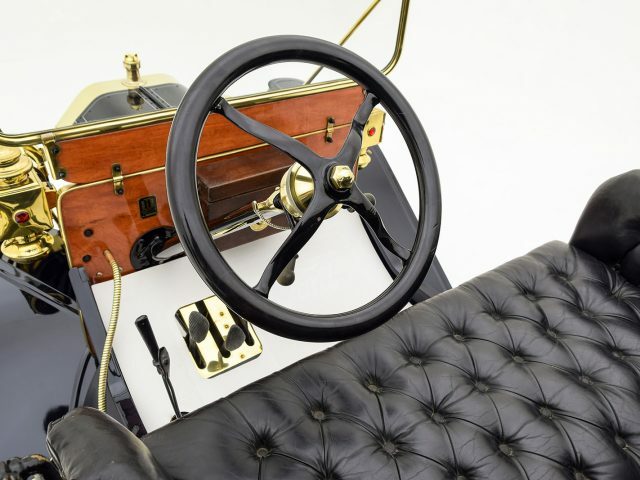 Driver and passengers ride on black button-tufted leather upholstery, which remains supple and tidy. 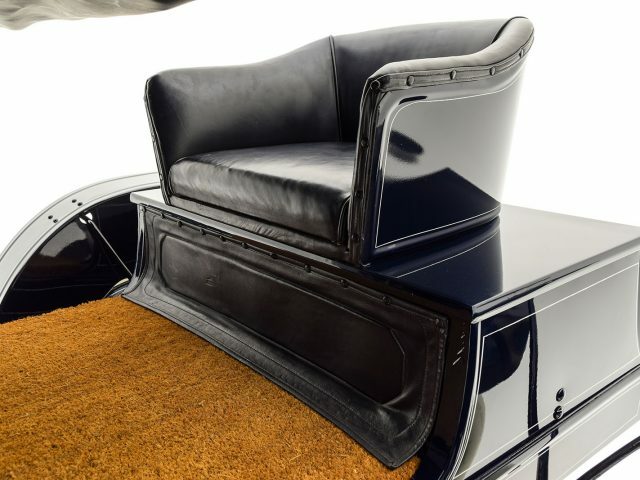 Likewise, the optional black artificial leather top is excellent, appearing well-fitted on a restored frame. 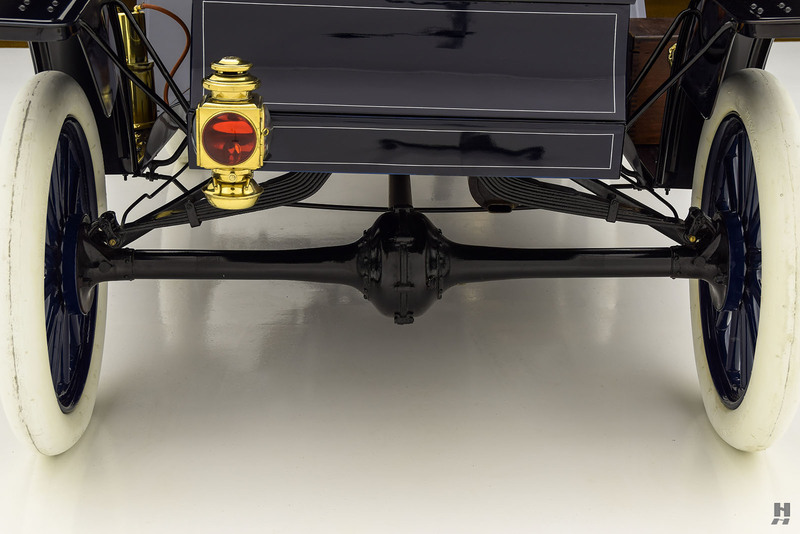 A white rubber embossed floor mat dresses up the floorboards in front. 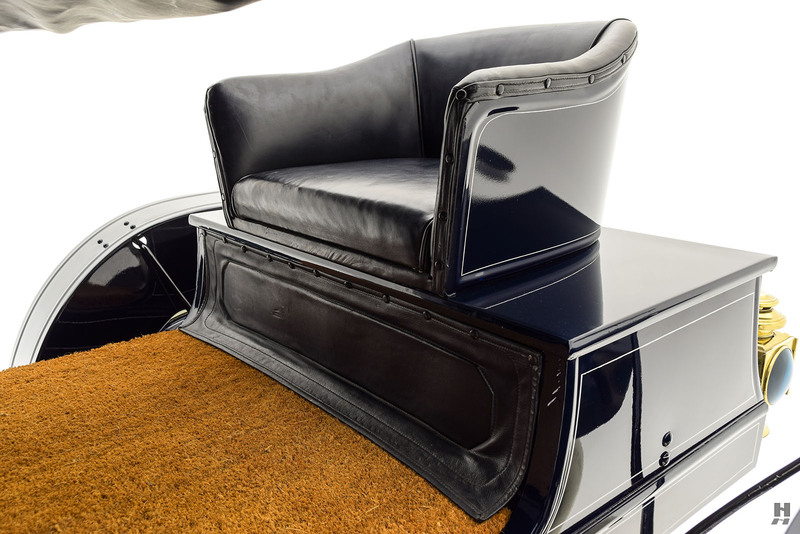 This example features the optional mother-in-law seat behind the passenger compartment, best reserved for courageous passengers and sunny weather. 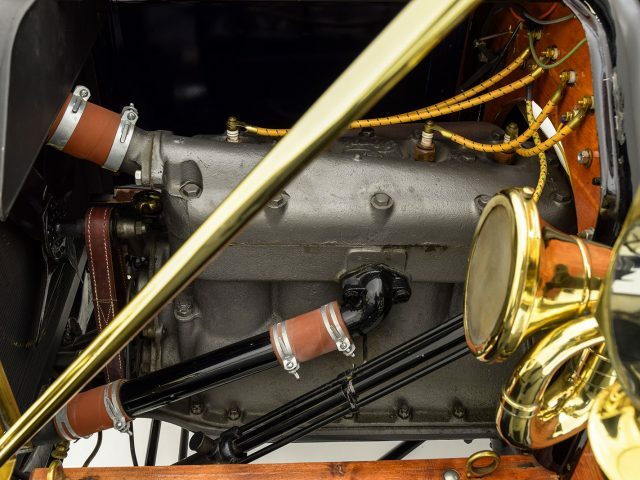 Under the hood is the familiar 177 cubic inch L-head inline-four, mated to a 2-speed planetary transmission. 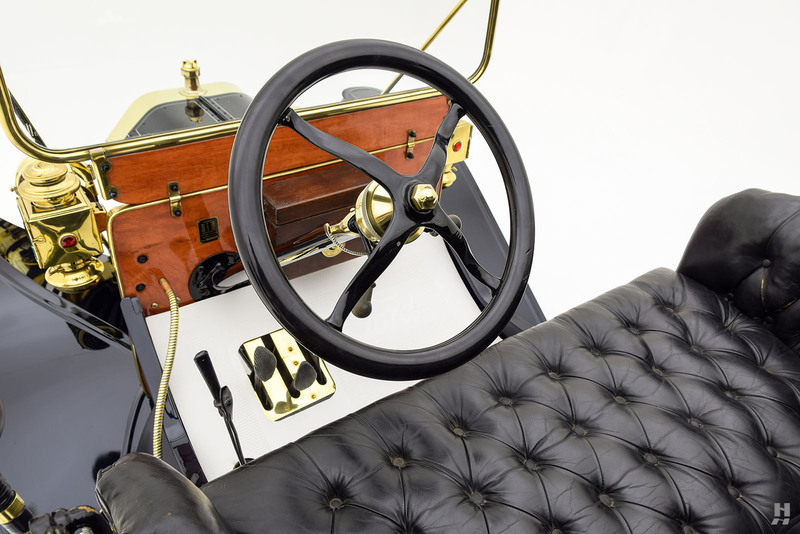 One doesn’t drive a Model T so much as they operate it, and driving a T is a wholly unique experience. 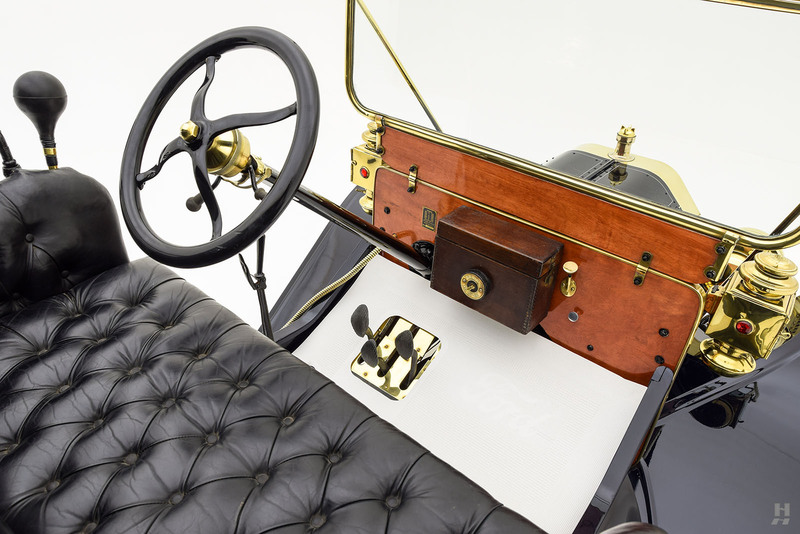 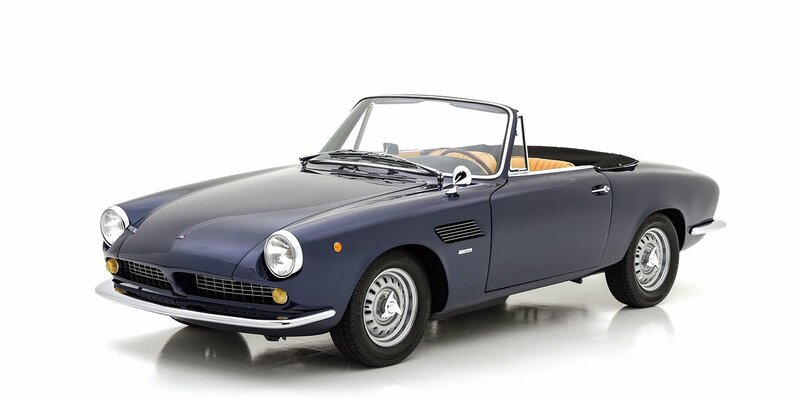 Once mastered, however, it is a pure delight, thanks to the lofty driving position, eager little four-cylinder engine, and the sense of accomplishment when you commit the ballet of levers and pedals to memory. 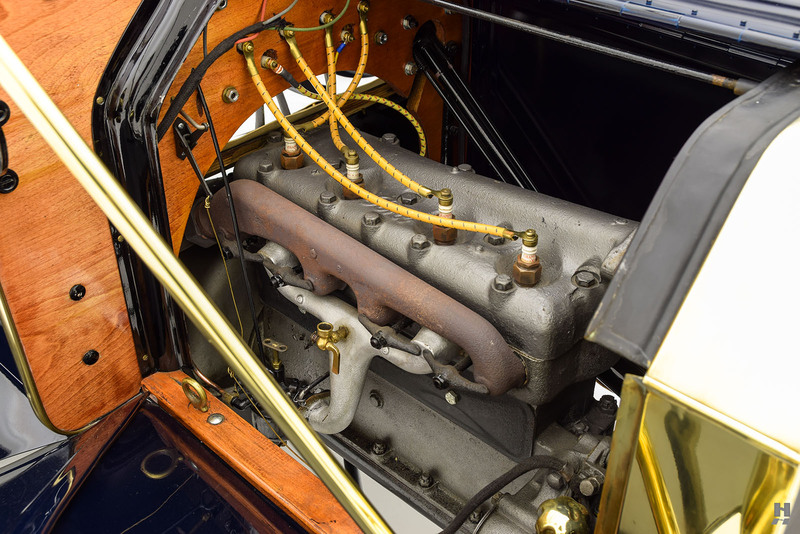 This example runs well, though it has seen a period of disuse and may require additional sorting before embarking on longer journeys. 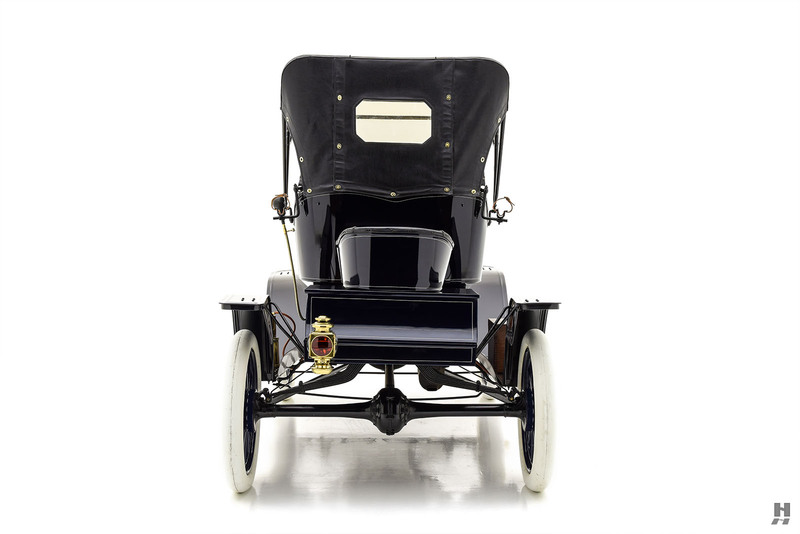 The Model T remains a perennially popular collector car, thanks to its simplicity, excellent parts support, and passionate following. 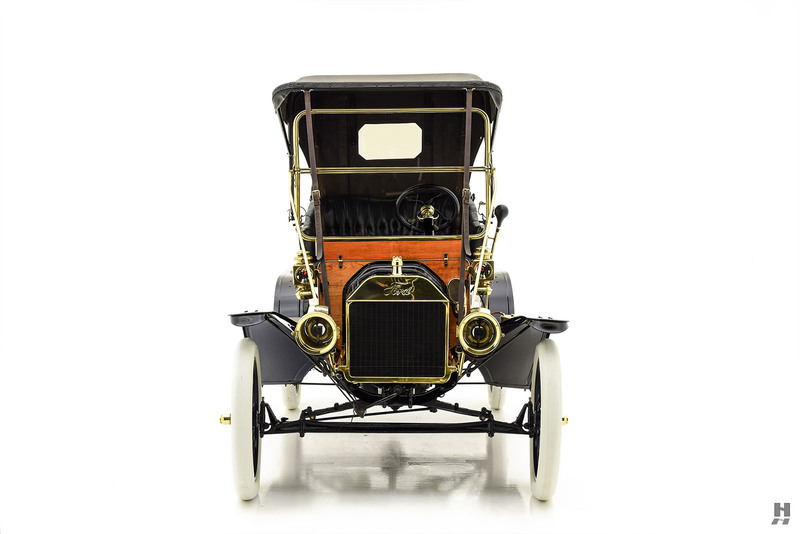 From the weekend hobbyist to the serious collector, the Model T’s appeal is broad. 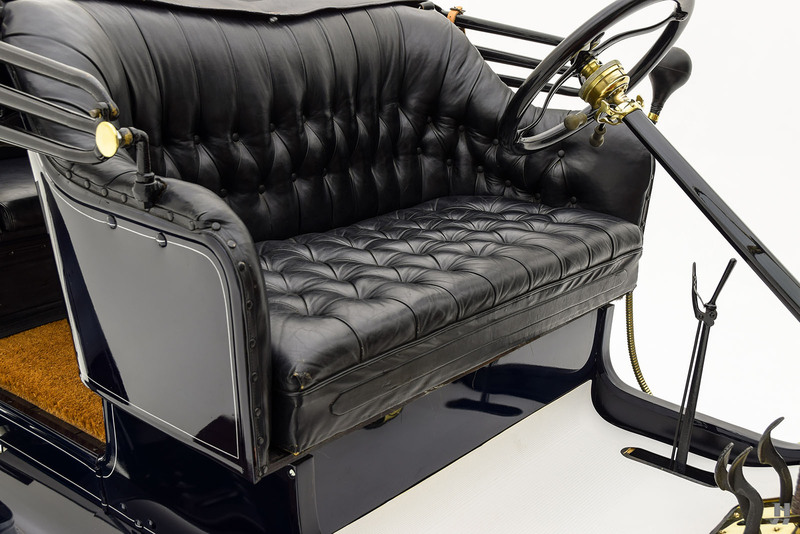 This early example ticks the right boxes for collectors and Model T enthusiasts, with its sought-after body style and nicely preserved restoration.